John McGuinness has taken an incredible Senior TT win, upping the pace to well over 132mph to hold off a brilliant James Hillier and three-time winner this week Ian Hutchinson. 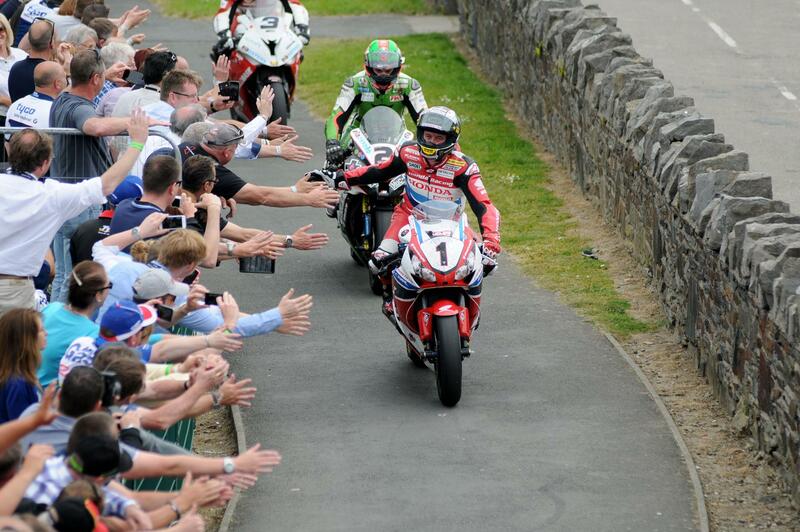 McGuinness was one of the pack in the chase in the first leg of the race until a red flag brought it to a halt. But on the restart, there was no one else to touch him, blasting away from the line in a typical McGuinness strong start. From then on, there was no one to hold him, after a mistake at the end of lap two saw Hutchinson drop off the pace, after running straight on at Signpost corner. That gave the momentum to Hillier, who was able to put in a 132mph lap of his own to wrestle second place off the PBM Kawasaki rider. McGuinness, now only three wins from Joey Dunlop’s 26-win record, also takes Mike Hailwood’s record of seven Senior TT wins. Jamie Hamilton, whose incident brought out the red flags earlier, has been described as serious but not life threatening.